Designed for mass start racing. Best known for the internal geared (planetary gearing) hub, Sturmey Archer is another one of the most recognized brands in cycling. The company has been bought and sold several times since it's origins, and at some time was owned by the same parent company as both Brooks and Raleigh. 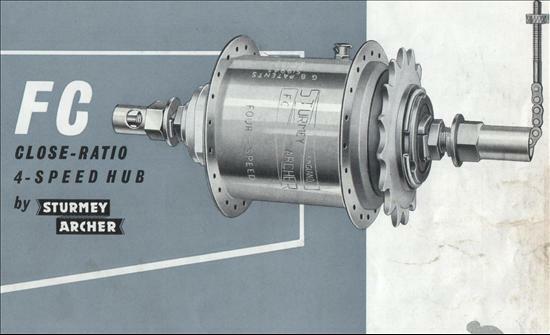 The company is still in business (well, the name is still in use anyways), and there are still internal geared hubs produced today with the Sturmey Archer name.